Left: A teaser poster for Star Wars Episode VII: The Force Awakens. "The Evil Never Ends. Just evolves." The new Star Wars movie "The Force Awakens" has many secrets. Many of them have been leaked. But they don't reveal too much. 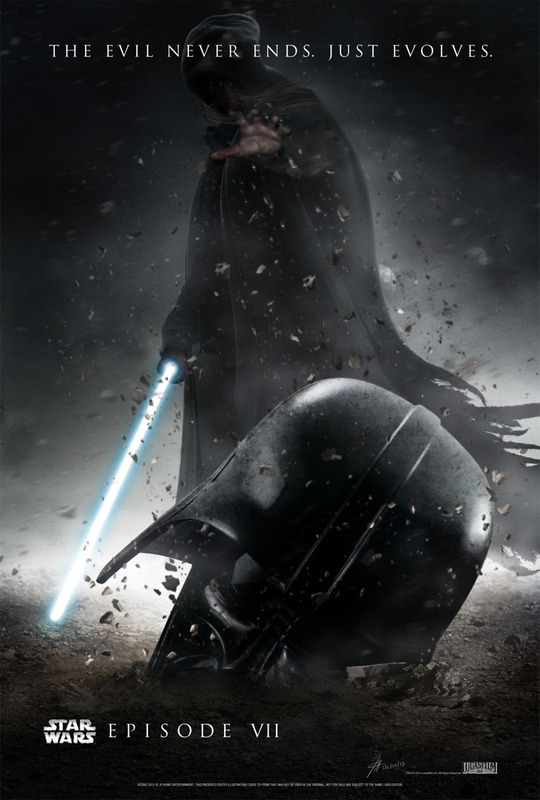 Darth Vader will return, as shown in the poster above... He will probably be good. That's really weird though. Didn't he die in Episode 6? Villains, such as Darth Maul and Boba Fett, will return. Boba makes sense though. 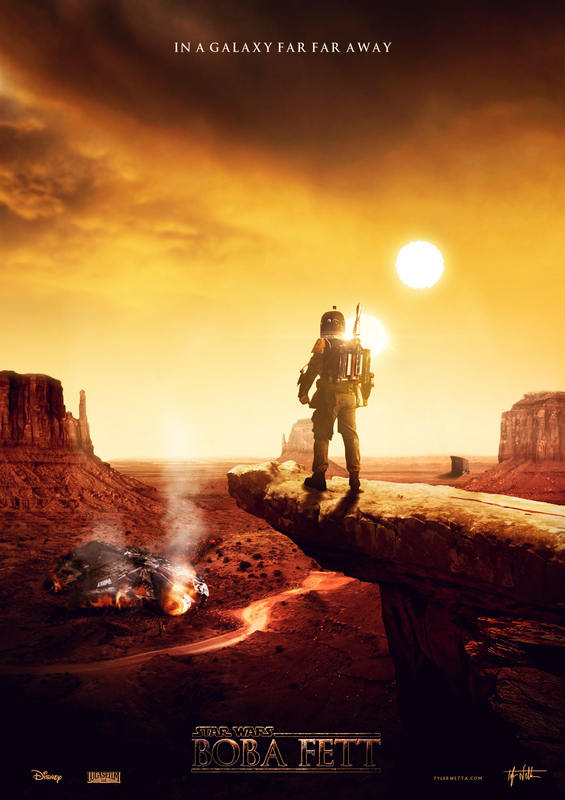 There are many theories about Boba NOT dying in the Sarlacc Pit. This proves they are true. I think the reason for all these characters returning is because of the movie's title, "The Force Awakens". It is saying that the force will return... along with all these other characters and villains, creating a problem for the movie's plot. Above: A fan claim, not approved by Disney or Lucasfilm.